Renovating a space in your home doesn't have to mean spending months ripping out your walls and floorboards. 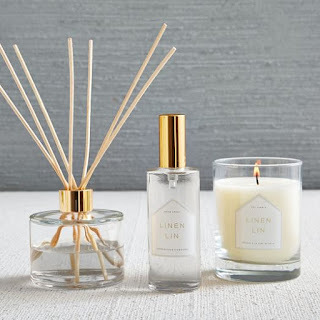 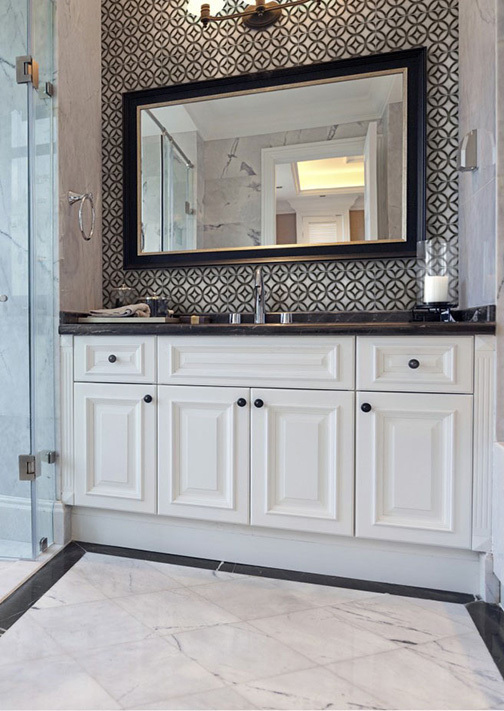 We know that remodeling anything in your home can seem like a daunting process, so we are showing you 5 creative ways you can change up your bathroom without all the added stress and time. 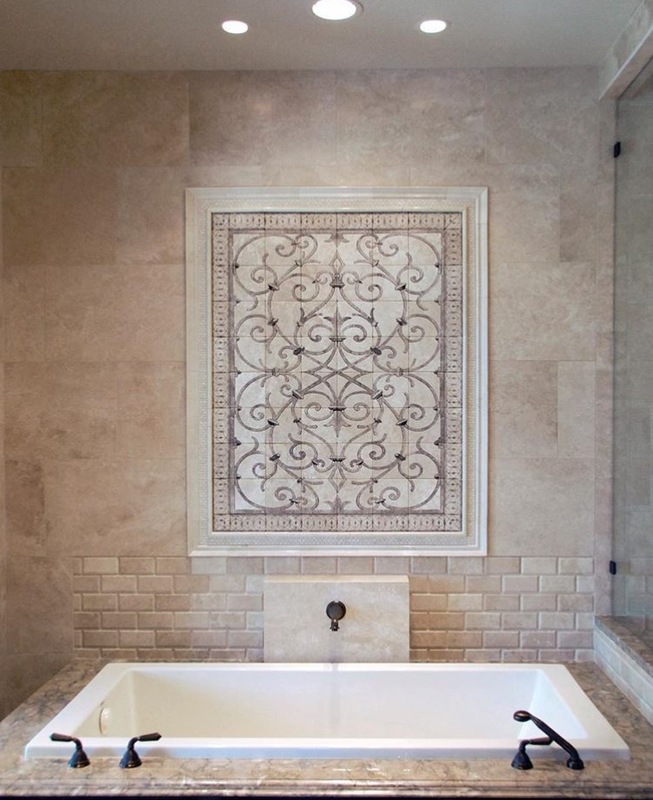 Instead of covering your bathroom with wallpaper, try using tile as a replacement. As you can see below, it can be bigger project, but the outcome will be truly stunning. 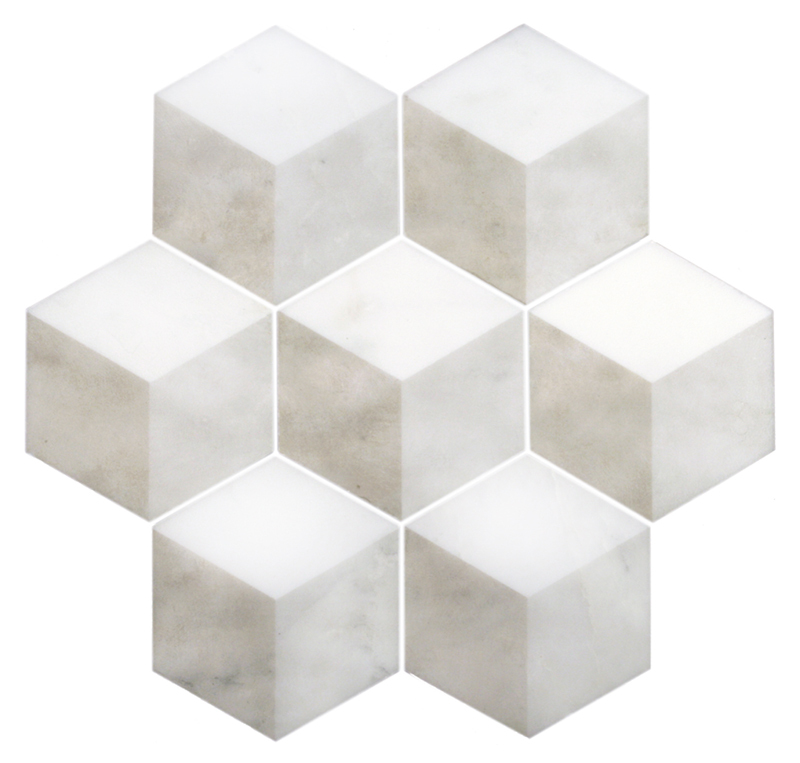 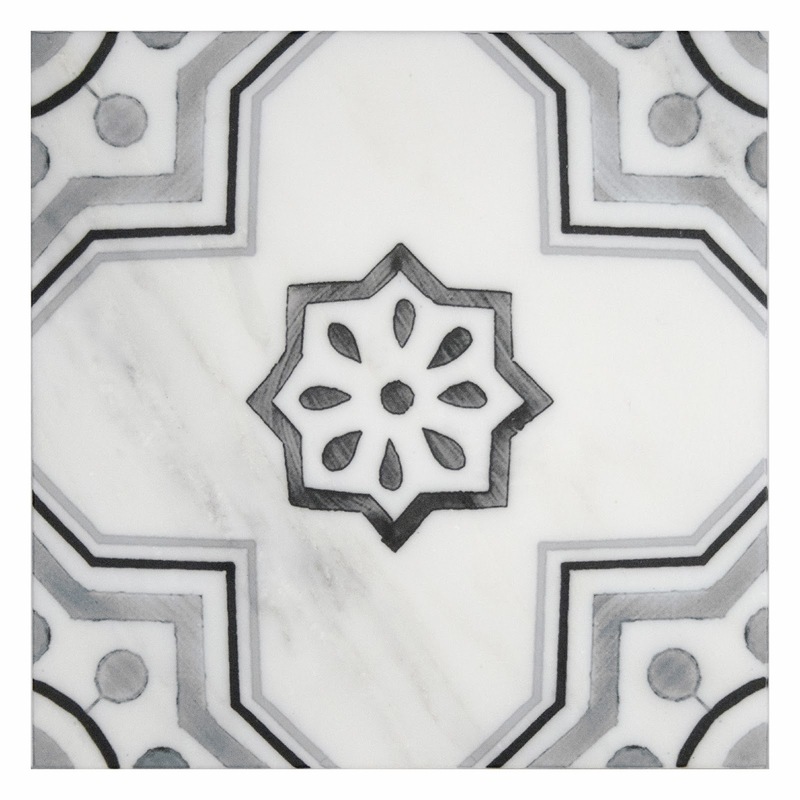 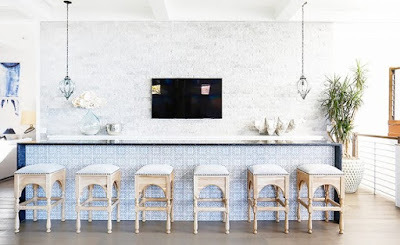 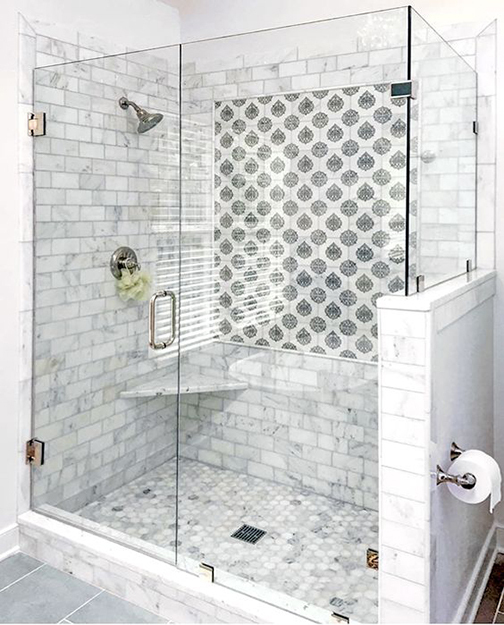 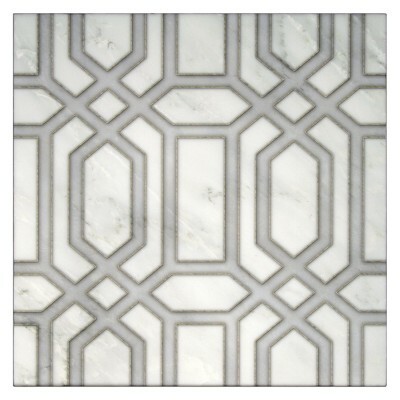 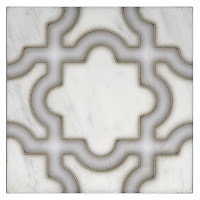 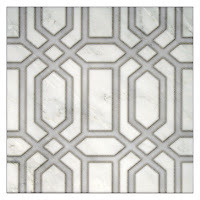 Complete Design by Emily Gillrie and Cathy Mann Design came up with this amazing plan for their client's washroom using decorative 12x12 tiles on carrara. 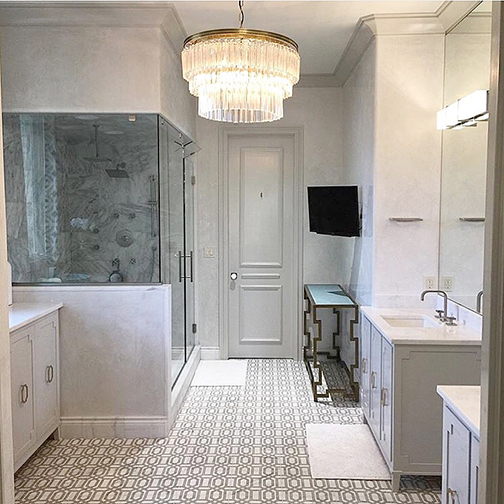 We were lucky enough to be a part of an awesome bathroom renovation for Canadian blogger and interior designer, Jacquelyn Clark, where she transformed her outdated brown space into a classic beauty. 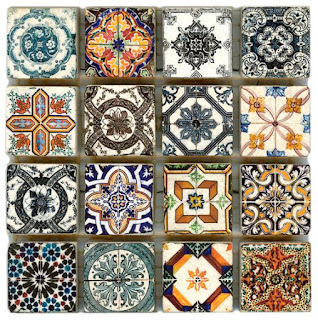 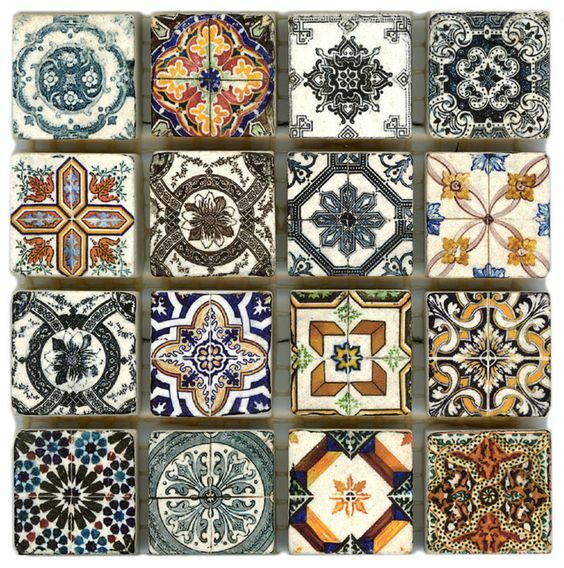 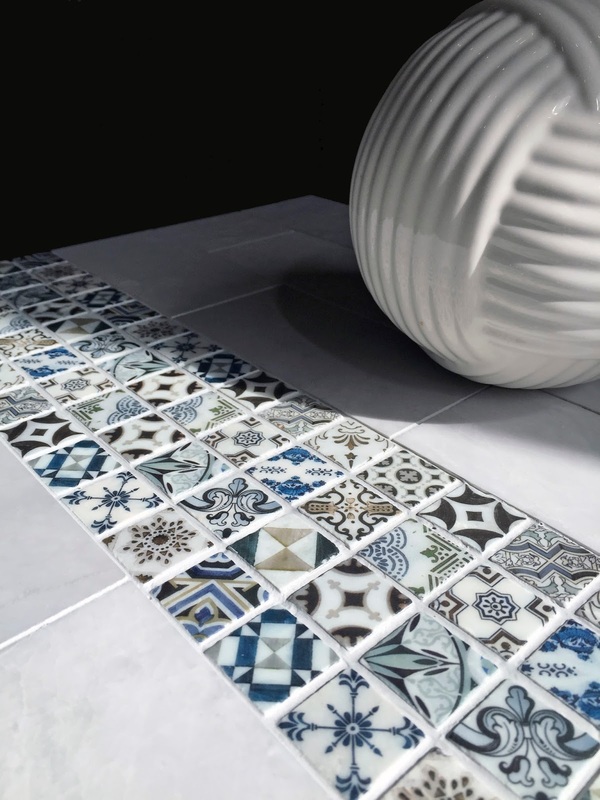 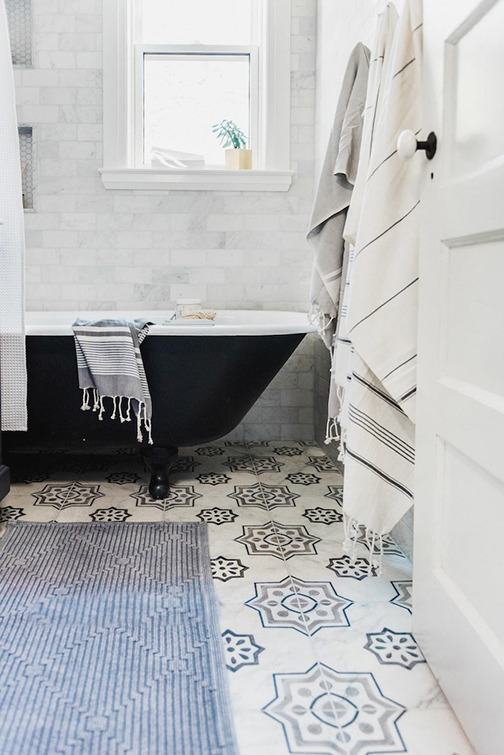 Depending on the size of the bathroom, adding tiles to the floor of your bathroom can either be a small, weekend project or a larger scale one. 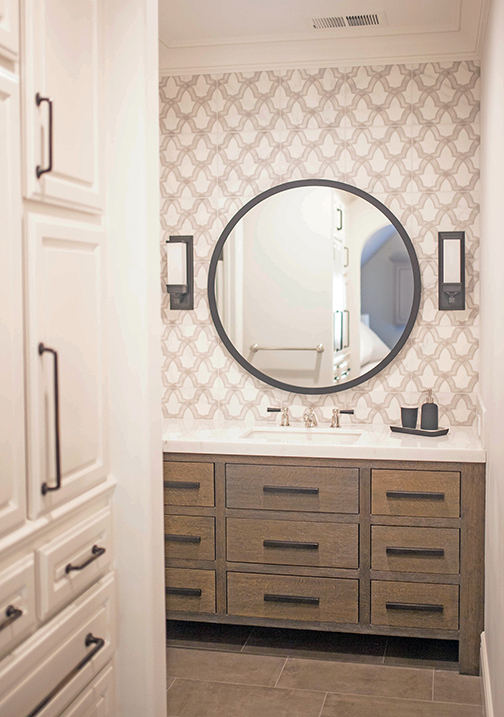 Here is a larger master bath project done by the talented Jennifer Welch. 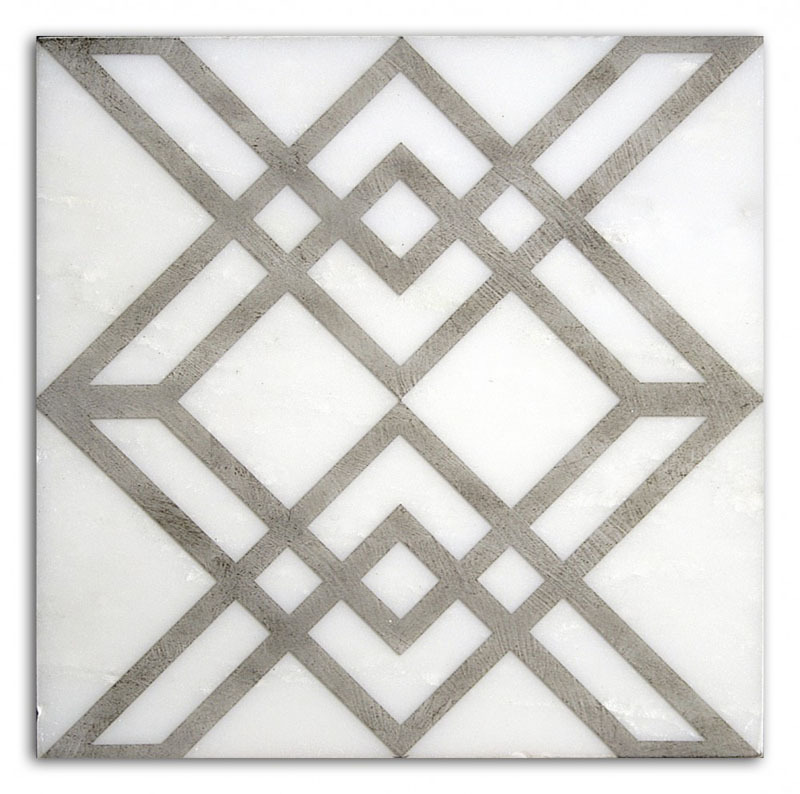 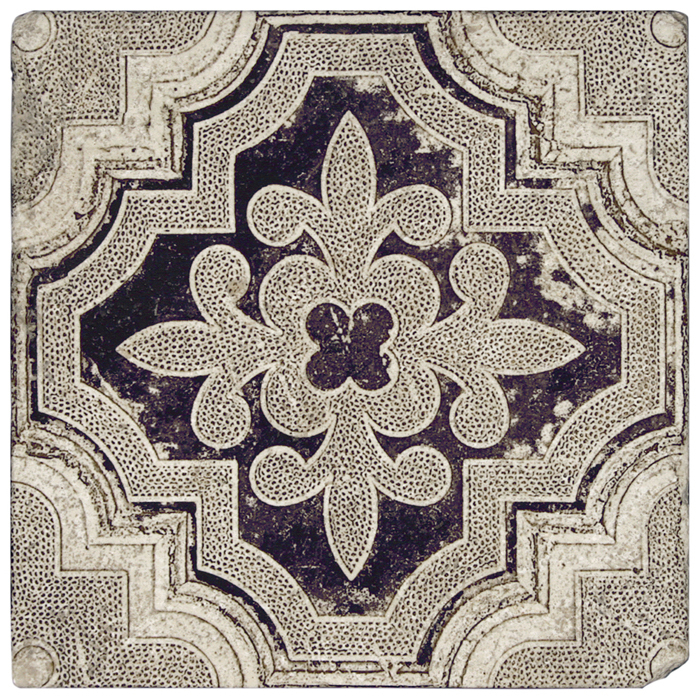 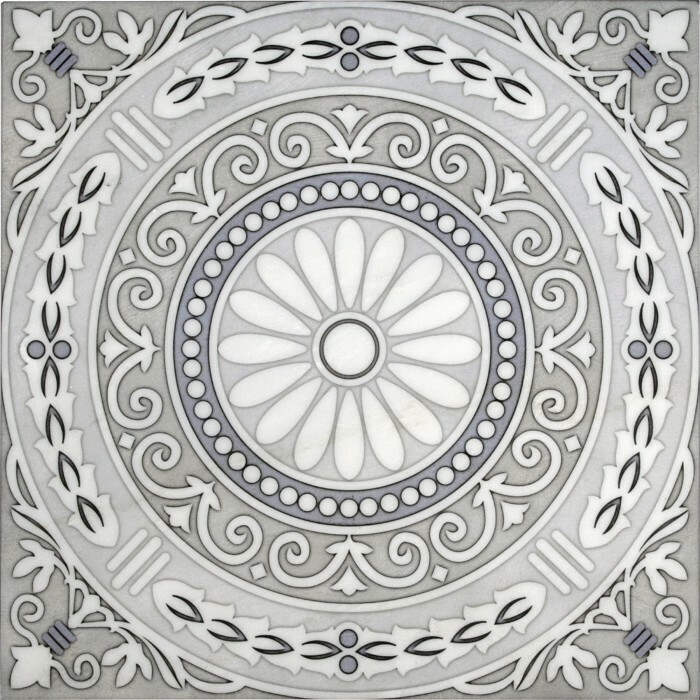 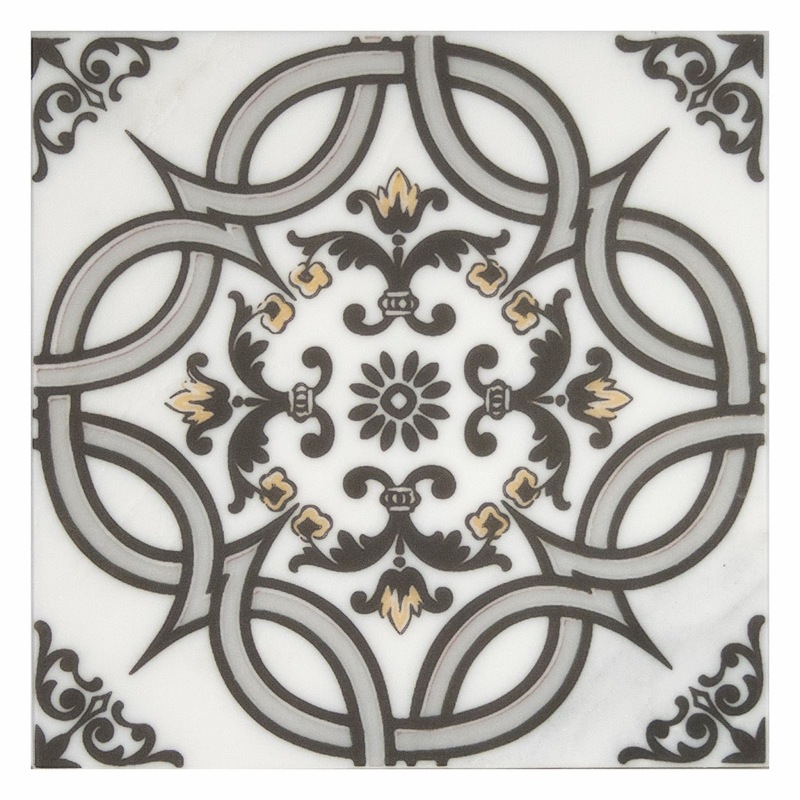 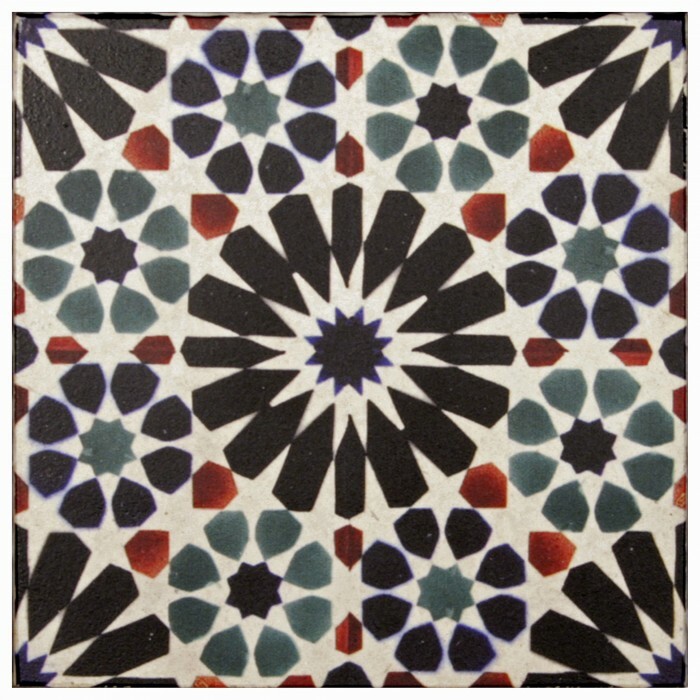 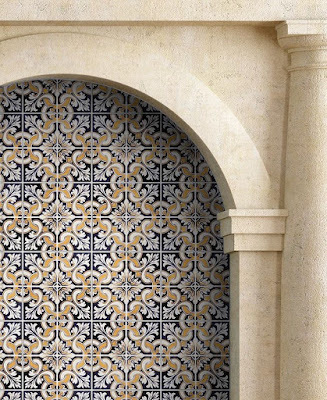 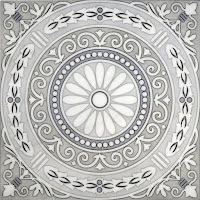 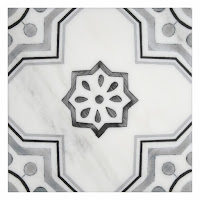 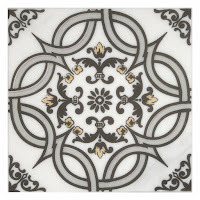 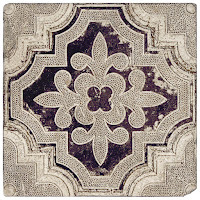 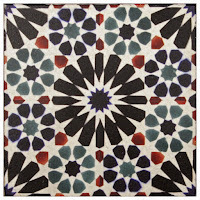 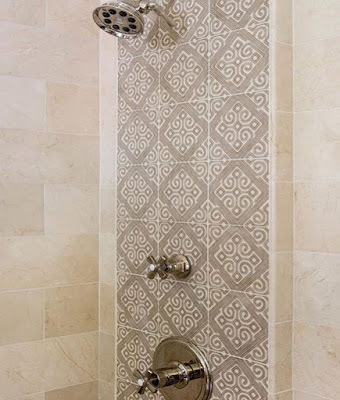 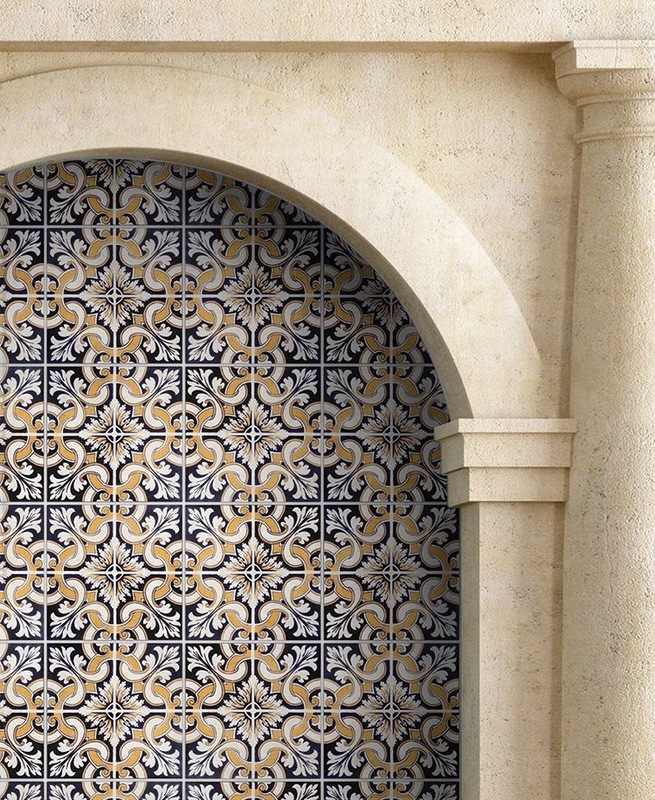 Adding decorative tile to a niche in your shower is an easy yet effective way to add design to your bathroom. 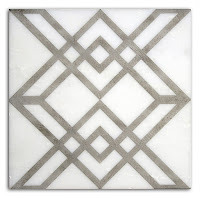 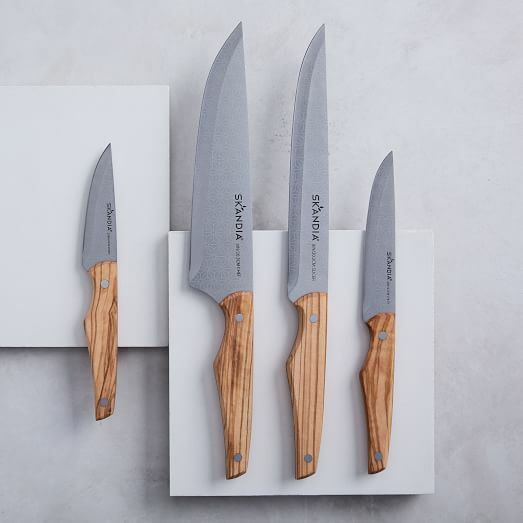 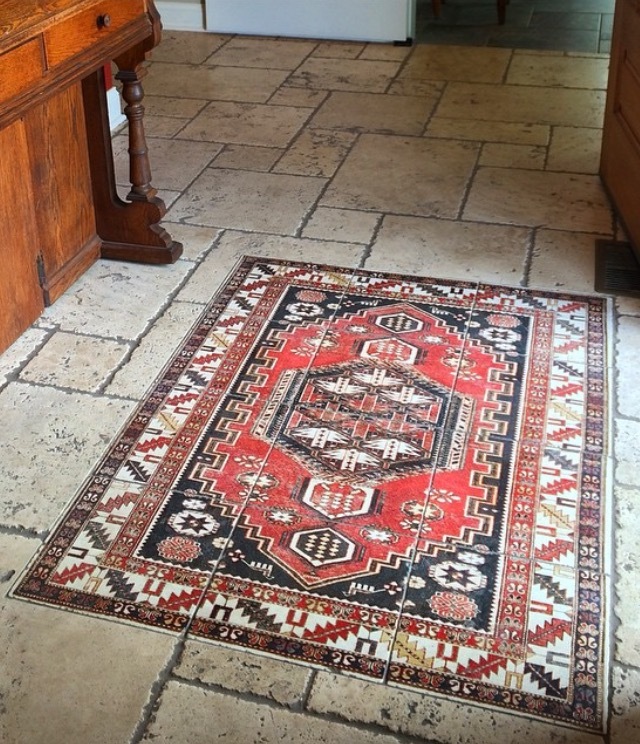 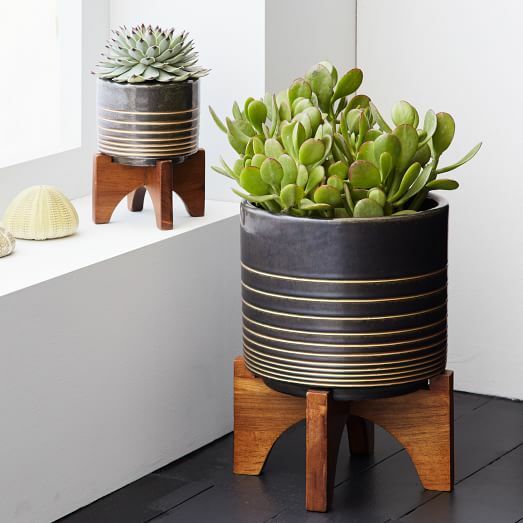 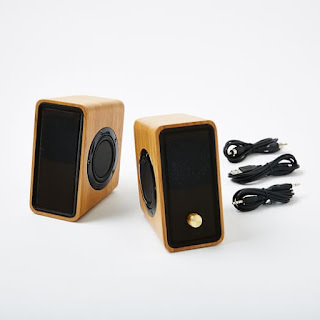 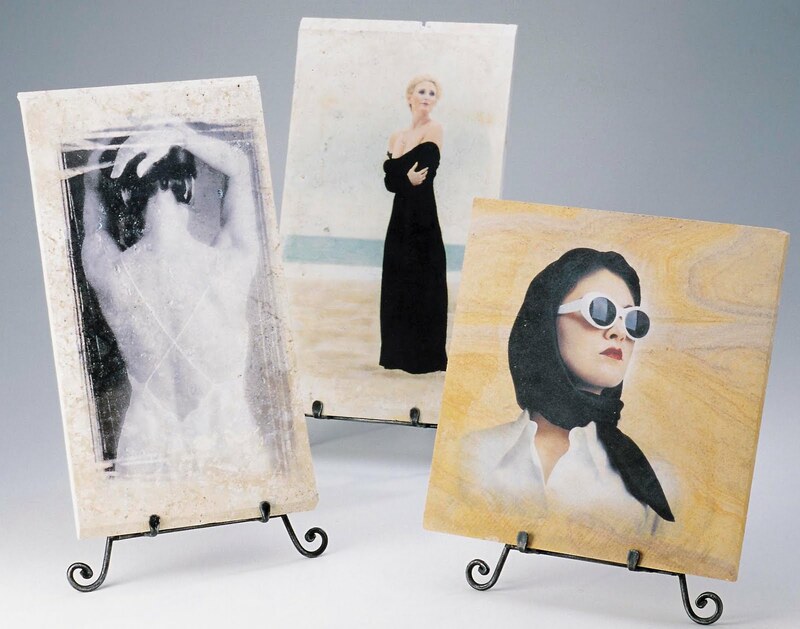 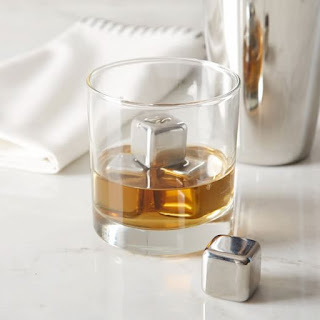 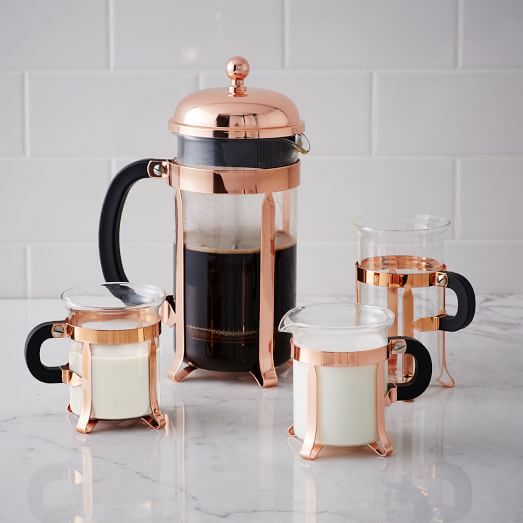 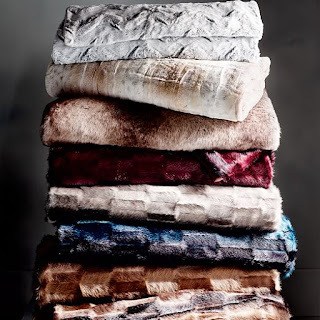 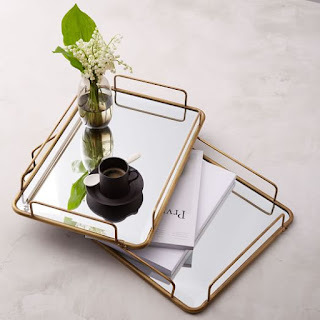 It will act as the focal point in your space without taking months to finish. 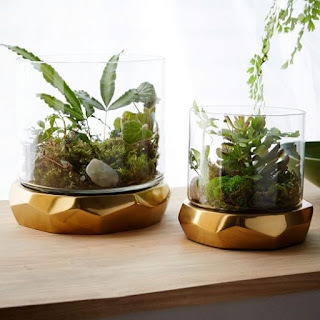 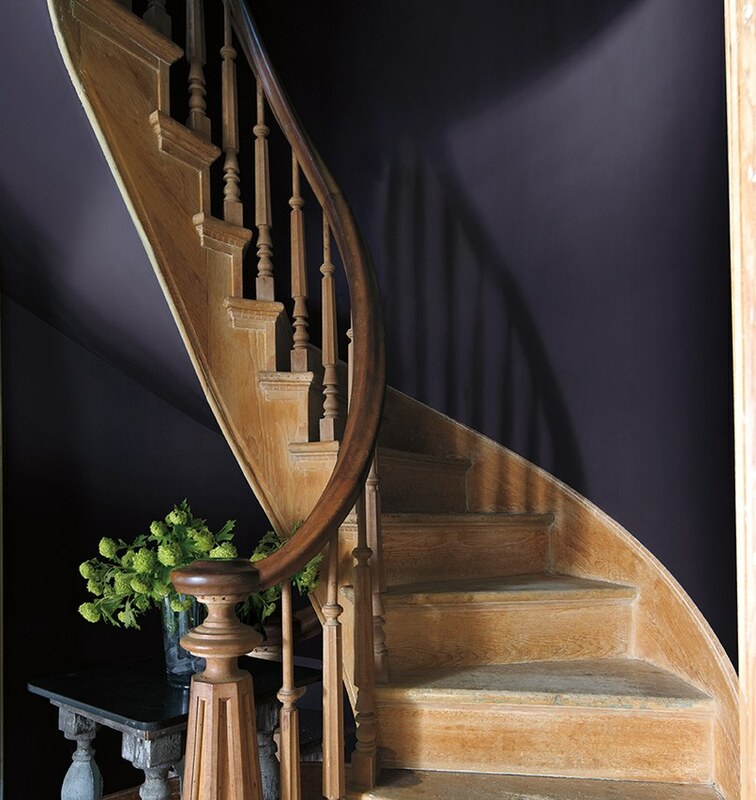 Below is a niche designed by Abby Manchesky. 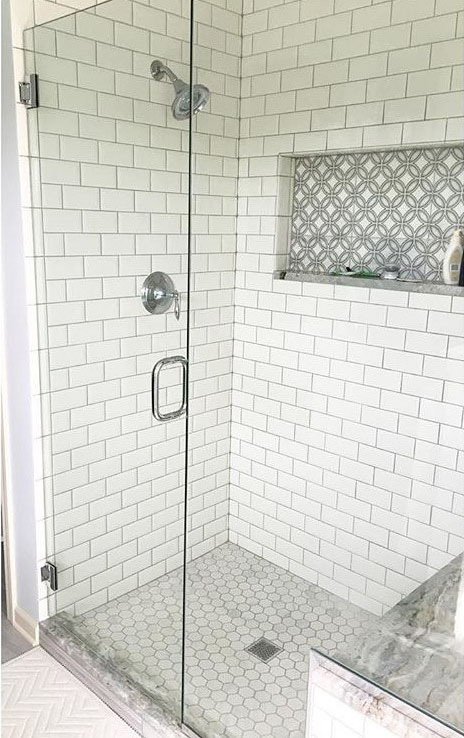 If you like the idea of putting tile in your shower, but want to go bigger than a shower niche, covering your shower wall with bold tiles is great way to add change to your space. 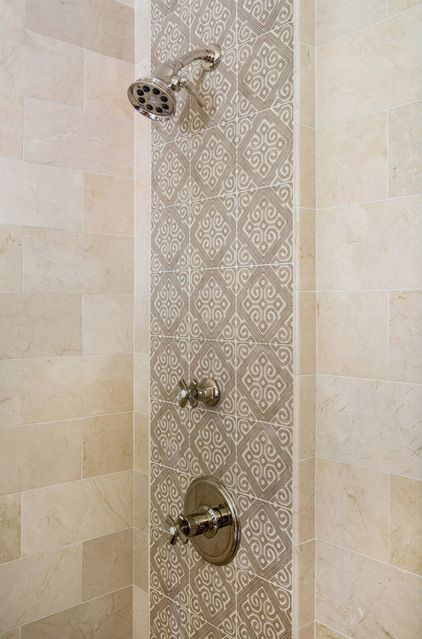 Below is a perfect example of adding a backsplash in your shower, designed by KMH Creative. 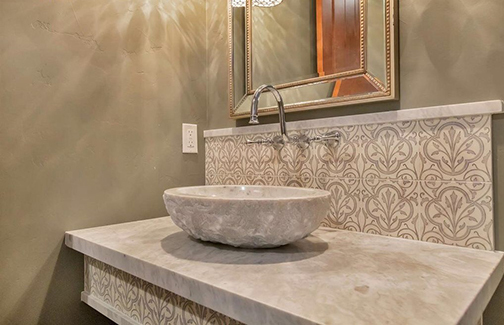 We recently came across this bathroom sink that stopped us in our tracks! 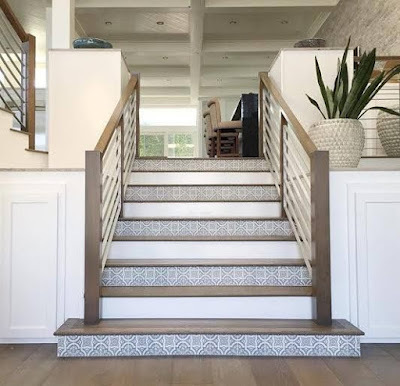 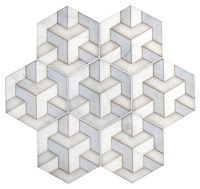 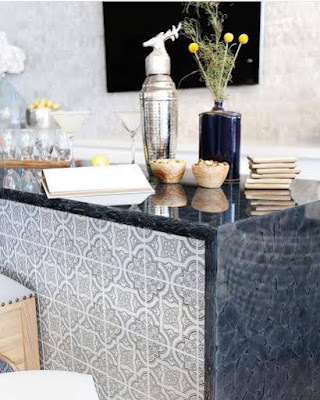 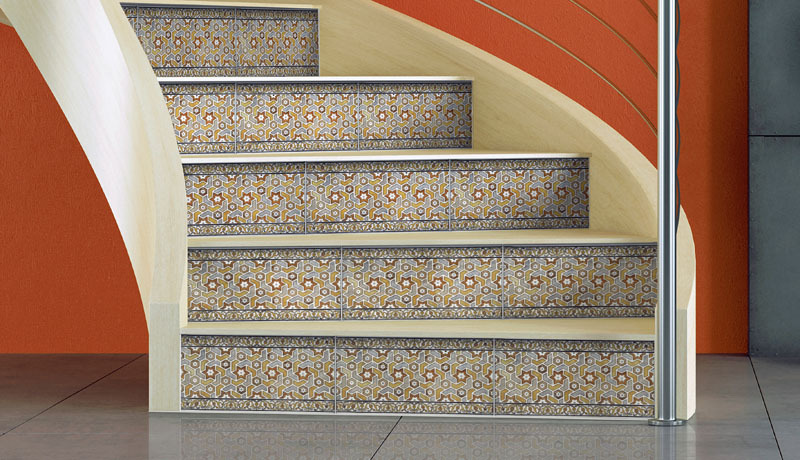 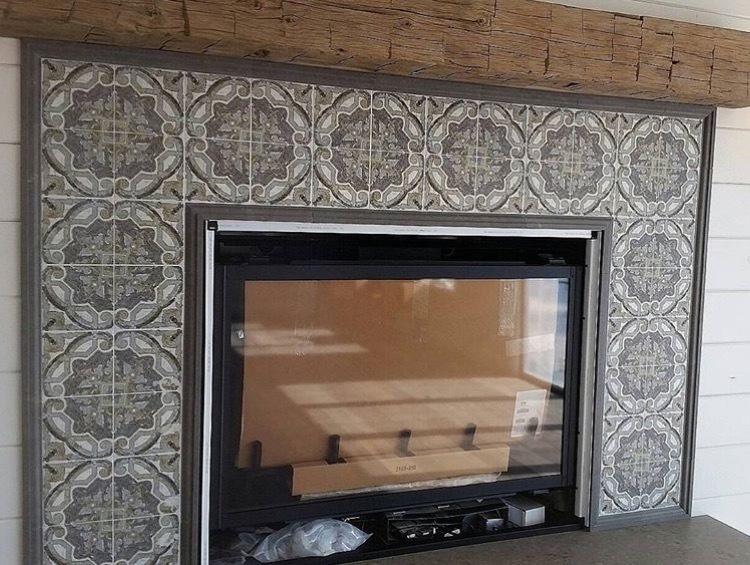 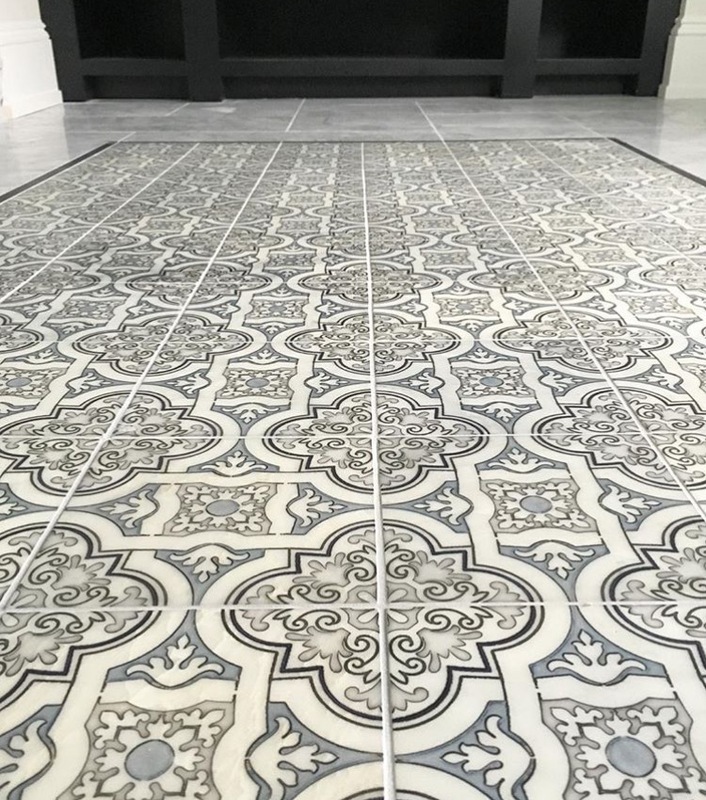 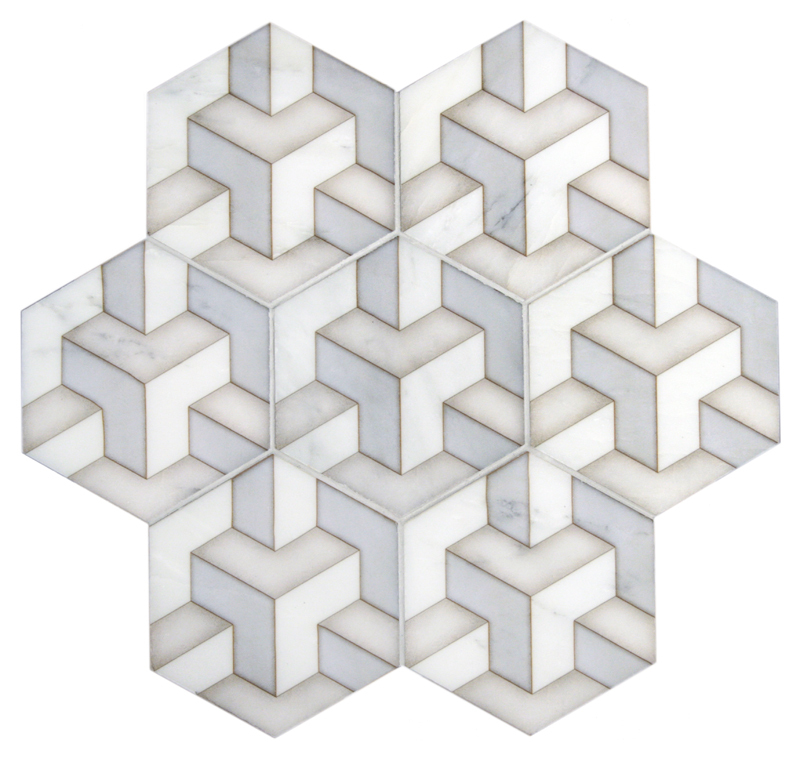 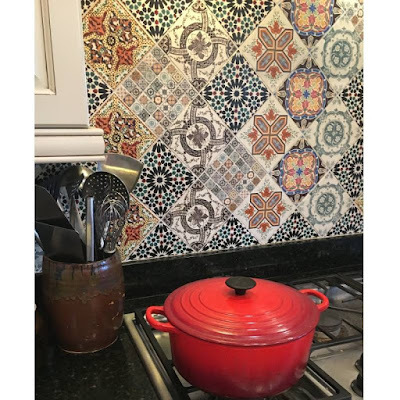 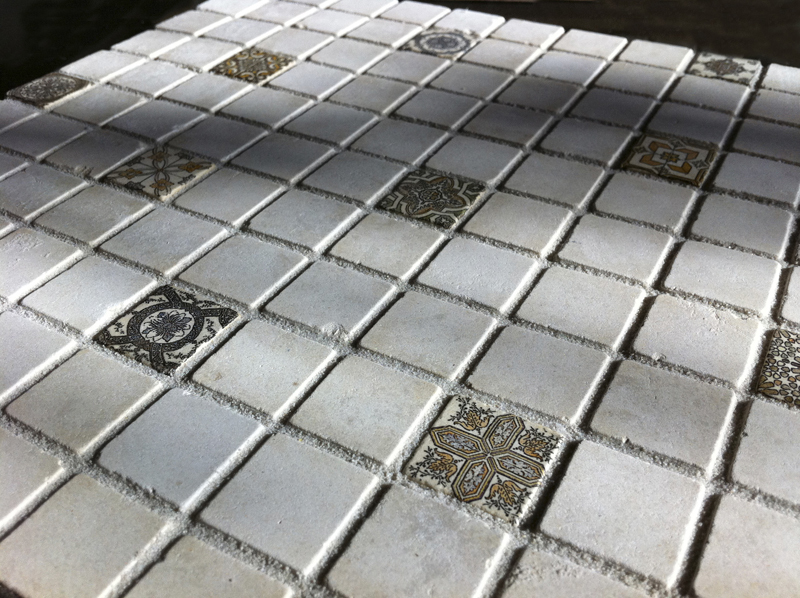 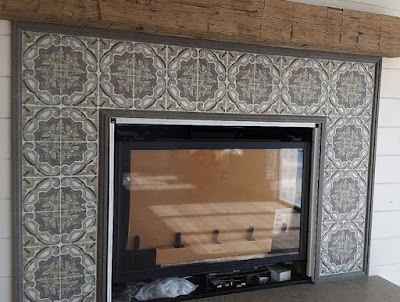 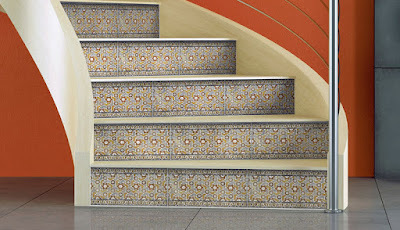 We love seeing how creative designers get when using tiles in renovations. 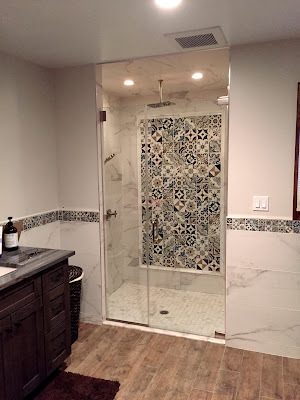 All Natural Stone sent us this install shot and we think it could be a perfect project for someone who wants to change up their space without completely tearing out their bathroom. 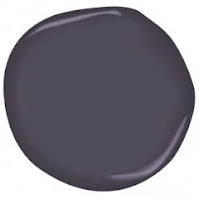 Don't be afraid of a little renovation! We just showed you 5 different ways that you can add your personal touch to a room in your home without going through a year long remodel. 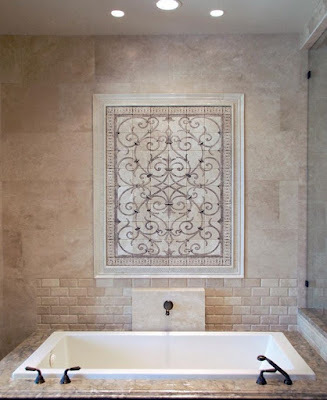 For more bathroom design ideas, CLICK HERE!